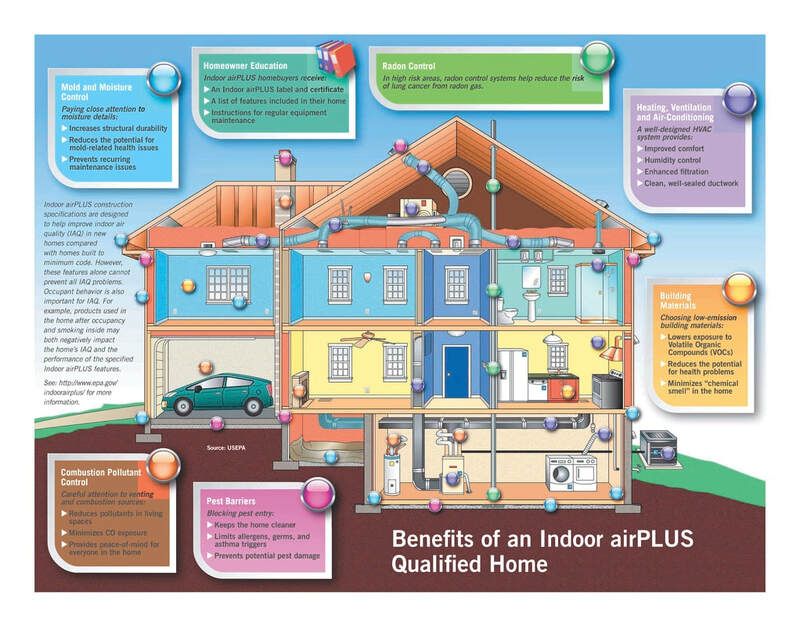 The Indoor airPLUS Leader Awards were created to recognize Indoor airPLUS Program partners who construct and verify Indoor airPLUS homes, designed and built for improved indoor air quality. This annual award recognizes market leading organizations who promote safer, healthier, and more comfortable indoor environments by participating with Indoor airPLUS and offering enhanced indoor air quality protections for their new homebuyers. The Indoor airPLUS Leader Awards will be formally presented along with the announcement of the Leader of the Year Winners at the EEBA High Performance Home Summit, October 16-18, 2018 in San Diego, California. ​Charis Homes is proud to offer new homes that have earned both the Indoor airPLUS and ENERGY STAR Certified Home labels because it means your home has been designed and built to standards well above most other homes on the market today. Look for the U.S. Environmental Protection Agency (EPA) Indoor airPLUS and ENERGY STAR® labels on your new home. Reduced indoor air pollutants help protect your family inside. Reduced greenhouse gas emissions help protect the air outside. Homes displaying the Indoor airPLUS and ENERGY STAR Certified Home labels provide unparalleled energy efficiency, comfort, durability, indoor air quality and peace of mind. People are increasingly concerned about mold, radon, carbon monoxide and toxic chemicals in their homes. Poor indoor air quality can lead to eye irritation, headaches, allergies, respiratory problems such as asthma, and other serious health problems. EPA studies show that levels of many indoor air pollutants can be two to five times higher than outdoor levels. And since most people spend close to 90% of their time indoors, keeping indoor pollution levels as low as possible is the right thing to do for you and your family.